After a late night of packing and an early flight out of Montrose, I’m at Denver International Airport waiting for my flight to Philadelphia, and I finally have a moment to write a post. 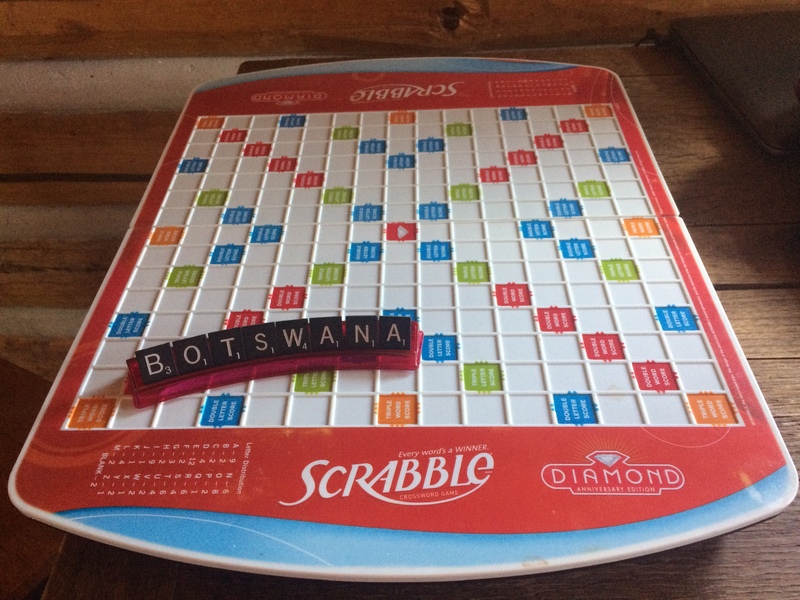 The Peace Corps set up a Facebook group for the 85 of us who are heading to Botswana, and asked current Bots Volunteers to participate and answer our questions. They’ve been invaluable, especially with packing advice. The most important thing I learned from them was to pack light (most everything can be found in Botswana) and to bring things that have personal significance. So, I used some of my precious luggage space to bring this Diamond Anniversary Scrabble game that my sons gave me for my birthday a few years ago. I’ve loved Scrabble since I was a little girl, and play daily with friends online. I’m hoping to play with the folks in my new community, and with a little adaptation, we can play in Setswana! We’ll need to remove the Q, Z, and Vs, since those letters don’t exist in Setswana, but the rest of the letters are the same, although the Setswana alphabet has 30 letters, including some letter combinations, such as tsh, which is pronounced with aspiration, like the ts in mats. At our pre-service training in Botswana, which starts next week in Molepolole and lasts 10 weeks, we will have two hours of Setswana training daily, and our host families are encouraged to speak Setswana with us. 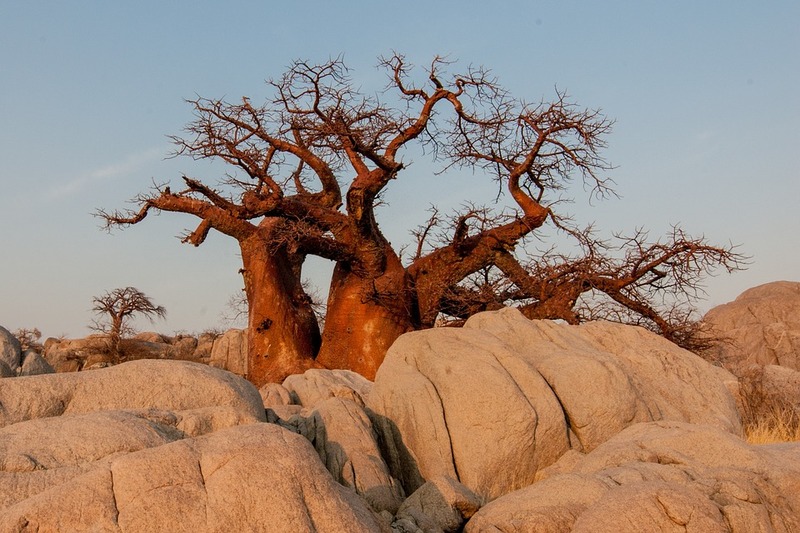 English is Botswana’s official language, but Setswana is spoken by a majority of Batswana (that’s the word to describe Botswana’s residents), and is especially important in rural areas. I started my lessons early, with the Peace Corps’ YouTube videos, and I love how the language sounds, especially the rolling Rs. And our pronunciation guide for the alphabet describes the pronunciation of G as “the sound made when you hock a loogie.” So, if you’re wondering how to pronounce Gaborone, Botswana’s capital city, where we’ll be arriving on Monday, it’s HAH-bor-oh-nay. And be sure to hock the loogie and roll the R.